The Motor Insurers’ Bureau of Ireland says it has issued insurance firms with 1 million application forms for the internationally recognized “Green Card” insurance document. 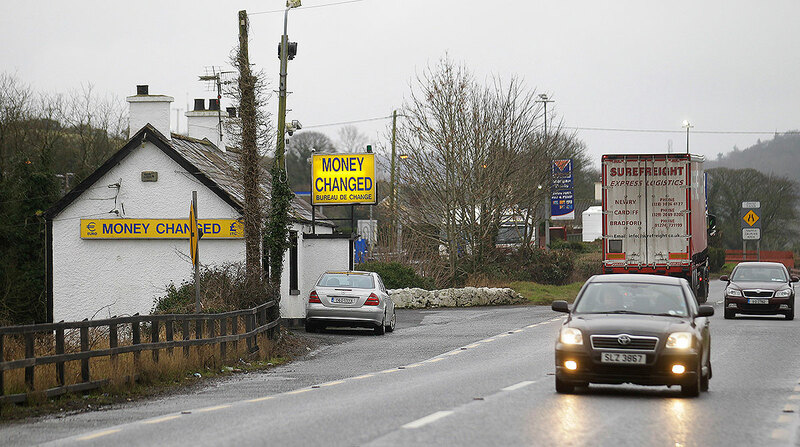 British drivers traveling to Ireland or other EU countries also will need the paperwork — just one of a host of new rules and hurdles citizens will need to negotiate if Britain crashes out of the bloc without a framework for departure terms and future relations. Currently, auto insurance in any EU country covers the whole bloc. If Britain leaves with a deal, there will be no change until at least the end of 2020. Britain is due to leave the 28-nation bloc March 29, but so far its Parliament has rejected the government’s divorce deal with the EU, raising the prospect of a chaotic “no-deal” Brexit. Governments in EU countries, as well as in Britain, have warned citizens and businesses to prepare for potential disruption to trade and travel as tariffs, customs checks and other barriers are erected between Britain and its biggest trading partner. British lawmakers rejected Prime Minister Theresa May’s deal with the EU last month, largely over a provision to guarantee there are no customs posts or other barriers along the Irish border. The mechanism, known as the backstop, is a safeguard that would keep the U.K. in a customs union with the EU to remove the need for checks until a permanent new trading relationship is in place. May wants to revise the deal to reassure opponents that the backstop would only apply temporarily. But EU leaders insist that the legally binding Brexit withdrawal agreement can’t be reopened. Irish Deputy Prime Minister Simon Coveney said, “[The EU] wants to work with the U.K. to try to give the reassurance and clarification” it needs on the border issue. But he said the EU had made it clear that the text of the withdrawal agreement will not be reopened. “What they’ll be providing will be an addition, but in a way that doesn’t undermine the meaning of that text, which I think is very important from an Irish perspective,” Coveney said in Dublin. May says U.K. lawmakers will get to vote again on her deal — including any amendments she secures — by March 12. If it is rejected, Parliament will then vote on whether to leave the EU without an agreement or seek to postpone Brexit by up to three months. Any delay would require approval from all 27 remaining EU nations. Austria’s leader said Feb. 28 that if Britain seeks an extension to prevent a disorderly exit, Vienna would back it. But Chancellor Sebastian Kurz said he wanted to see Britain leave before European Parliament elections in late May. Speaking after meeting Kurz in Vienna, chief EU Brexit negotiator Michel Barnier said any delay “must serve not to put off the problem but to resolve the problem” in the British Parliament. “Today, above all we need decisions, much more than extra time,” he said.